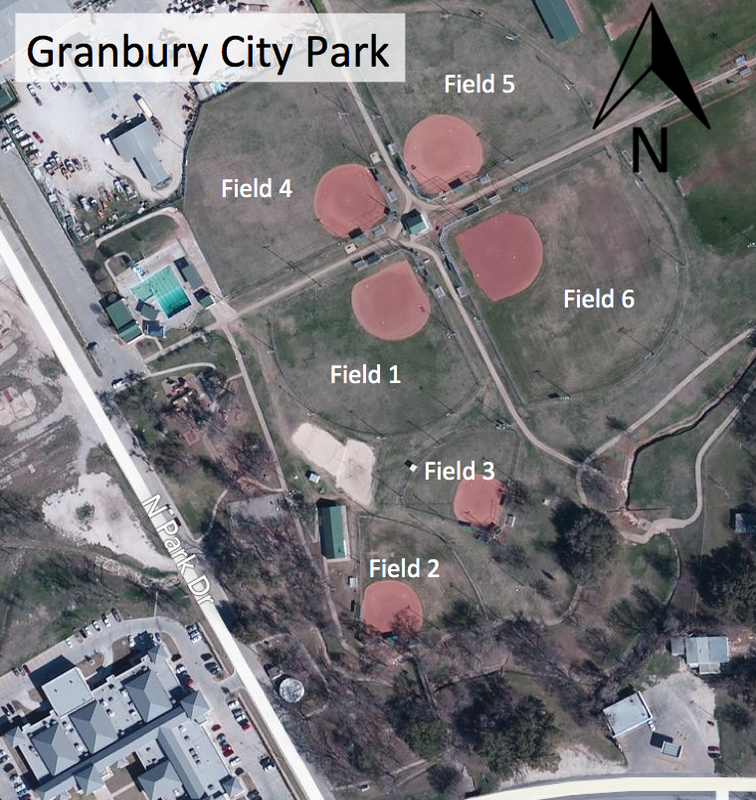 Below are the locations Brazos River Baseball leverages, as well as the field numbers. 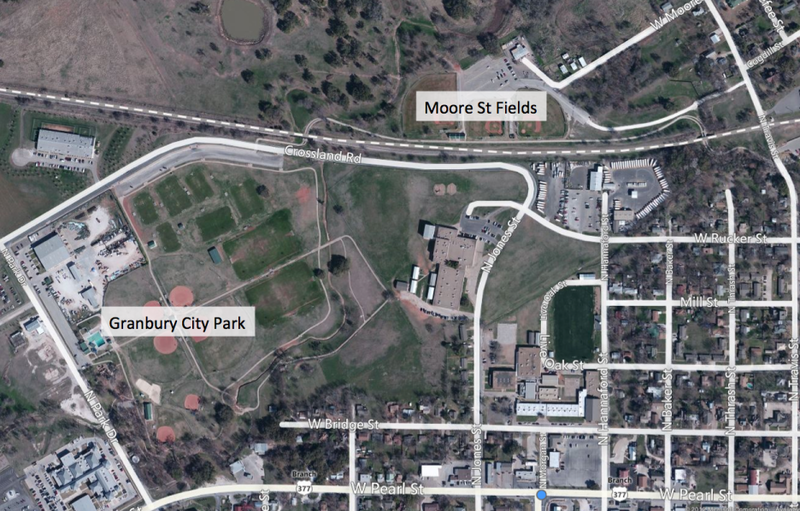 This is the overview of the two parks in Granbury: City Park and Moore Street. There is a walking trail between the two parks. Here is a blown up view of City Park.